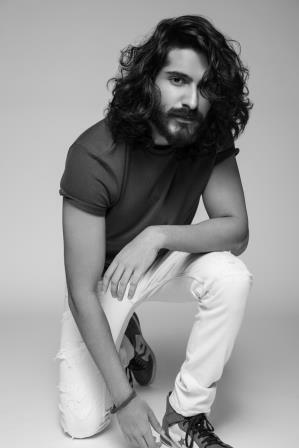 His first film 'Mirzya', which released a year and a half back, might not have struck gold at the box-office but that did not deter Harshvardhan Kapoor. He immediately started shooting for Vikramaditya Motwane's 'Bhavesh Joshi Superhero' which has him playing the titular role. His sense of confidence and positivity is evident when you meet him and talk about his new film which clashes with 'Veere Di Weeding', which features his sister Sonam Kapoor. Motwane wanted to make the film in 2013 with Imran Khan in the lead role. After being in talks with a couple of other actors, he finally zeroed in Kapoor for the role. When the film was conceptualised there was a different Government at the centre. So, one guesses a lot of changes must have been made in the script before the film went on the floors last year. "A lot of changes were incorporated in the script. When I read the script in 2013, it was very different but it had the same feeling which the revised script had. When people saw the teaser they thought it is similar to 'Deadpool' or Star Lords' but it is not. It is a story that has been very important to Vikram (Vikramaditya Motwane). The script was rewritten in 2015 but I do not think the change in Government would have led to many changes in it as we are suffering from the same issues which we had ten years back. There is always a promise that things will change but we continue to suffer from the same problems. What we are suffering from today is because of the negligence of the citizens and also because of several poor decisions taken by different governments," he says. When asked why we do not make enough superhero films in India, he replies, "Superhero films require huge budget. 'Bhavesh Joshi Superhero' is a very small vigilante film. Vikram has made films like 'Udaan' and 'Trapped' for almost no money, so you can imagine what he can do if he gets the money. Any other director would have made this film at twice or thrice the budget. 'Avengers - Infinity War' has made 250 crores in India. We are never going to have a 2000 crore budget for a superhero film in India." 'Bhavesh Joshi Superhero', produced by Phantom Films, Eros Entertainment and Reliance Entertainment, releases on June 1, 2018.